Online feeding of internal marks is altogether different from Online furnishing of SSC candidates data. An opportunity was given for correction/revision in Students data previously. But no such facility will be provided for Online furnishing of internal marks. Once the marks entered and confirmed by the Headmasters it is sealed once for all. Therefore utmost care shall be exercised by the Headmasters. The entire work should be completed under the close monitoring of the Headmasters concerned. 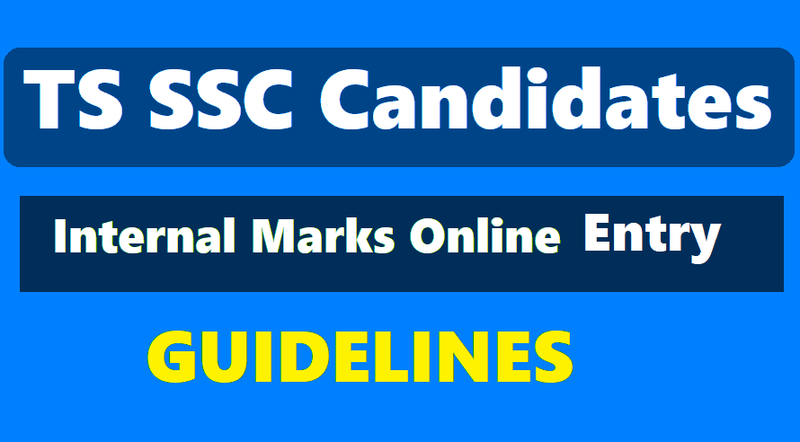 Feeding Internal marks pertaining to Regular candidates appearing for SSC Public Examinations March 2016 on web portal (www.bsetelangana.org) from 12-02-2019 to 26-02-2019.